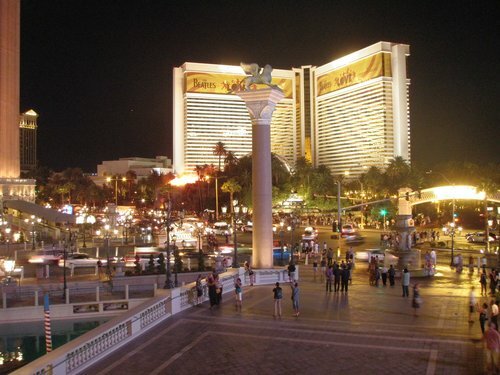 My first memory of Las Vegas was when I was around 12 years old. My parents, best friend and I were headed to California and briefly stopped in Vegas. It was late, most likely around midnight and my mom was adamant about seeing the Vegas strip, even against my dad’s wishes. It was always cute how he thought he could talk her out of something. As we stood on the strip, huddled together, my mom announced she was going to try her hand with lady luck and headed into a casino. As quickly as she left, she had returned but in that brief moment as my dad, friend and I stood on the sidewalk waiting for her I witnessed something I have never forgotten. A man, with no shoes, was walking down the strip talking loudly to himself. He stopped abruptly in front of us, grabbed a plastic cup of beer that had been left on the curb, took a sip, put it back and carried on his way. In hindsight I imagined the beer was warm and that is why he did not take it with him. No one likes to drink warm beer. As I got older and reached adulthood I realized that although this is a fond memory it may be time to visit Vegas again. My birthday is in June and I was hitting a milestone birthday… 30. Vegas seemed like the perfect fit for my 30th birthday. I liked to gamble, there was fun all around and I would finally get to cross off visiting the Grand Canyon and Hoover Dam from my to do list. 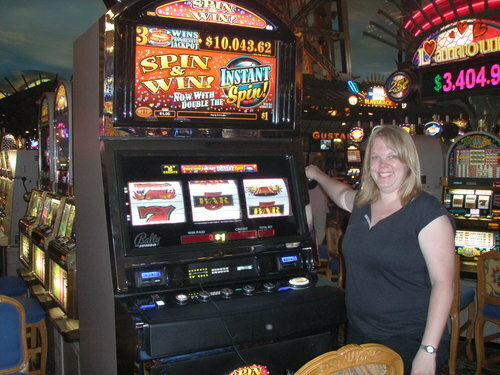 Me at the dollar slots… like I had a chance! I would also get to spend some time with friends, all who lived on the east coast: Amy from Virginia, Laura from Pittsburgh, and the married couple from Wisconsin (you will see why they remain anonymous later in the story). It was a great opportunity for all of us to catch up and for a few of them to meet for the first time. 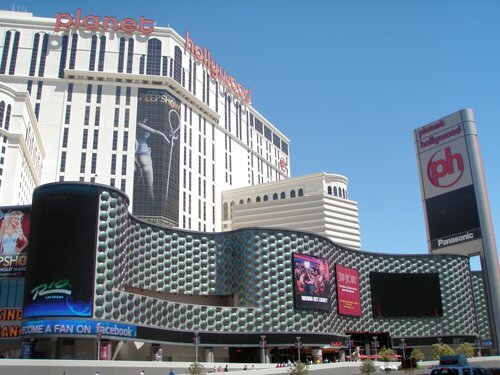 As we were preparing for our trip we tossed around hotel options and eventually landed on Planet Hollywood. It had a more hip, younger crowd than some of the other hotels we were looking at, a much better fit for all of us as we were in our late 20’s and early 30’s. Laura and I arrived to the hotel on a Thursday night and we unexpectedly (well I unexpectedly as a novice Vegas visitor) stood in a check in line that wrapped around the lobby 3 rows deep. Thursday at 9:00pm was apparently a happening time to check into your hotel. The married couple had arrived earlier in the day and had already been partaking in the fun on the casino floor (meaning they had drinks in hand when they met up with us at the check in line). After we dropped our bags in the hotel room we needed to grab a quick dinner so we could get on with the rest of our night. We met up with Amy, who was staying at a different hotel and headed over to the restaurant. We selected a chain restaurant in our hotel and although we were in a city with amazing restaurants and legendary chefs, this would do for tonight. As we were seated the married couple was convinced that Tobey Maguire was sitting at a table behind us. We all tried to causally glance over to see if it was him and each time we were caught. If it was him, he knew that we knew it was him. If it was not him then he probably thought we were just a bunch of weirdos with a staring problem. Lets be honest – we were probably both of those scenarios regardless of who the guy was. After dinner we decided a little casino fun was in order before bed. I had a pretty big day ahead of me the next day so I could not get too crazy. As I walked into the darkly light high ceiling room and breathed in the oxygen laced air, I suddenly felt refreshed and ready to go. We navigated around the scantily clad women dancing to the music on the card tables. I grabbed myself a drink and found a seat in front of a slot machine. Rarely on vacation do I not track how much money I lose at casinos (apparently I lose often if it is something I track) but I had decided to be a little irresponsible for this trip and not track my losses. Even though I just admitted to being irresponsible, just to be clear, once the cash was gone in my purse my casino fun would be over. Girl’s gotta have some limits. Speaking of having limits, my “pretty big day” that would be happening in just a few hours was creeping up on me. If I expected myself to climb into a race car in the morning, I thought I had better rest up! Tagged checking into a hotel in Las Vegas, childhood memories of las vegas, walking the las vegas strip at nighttime. Bookmark the permalink.